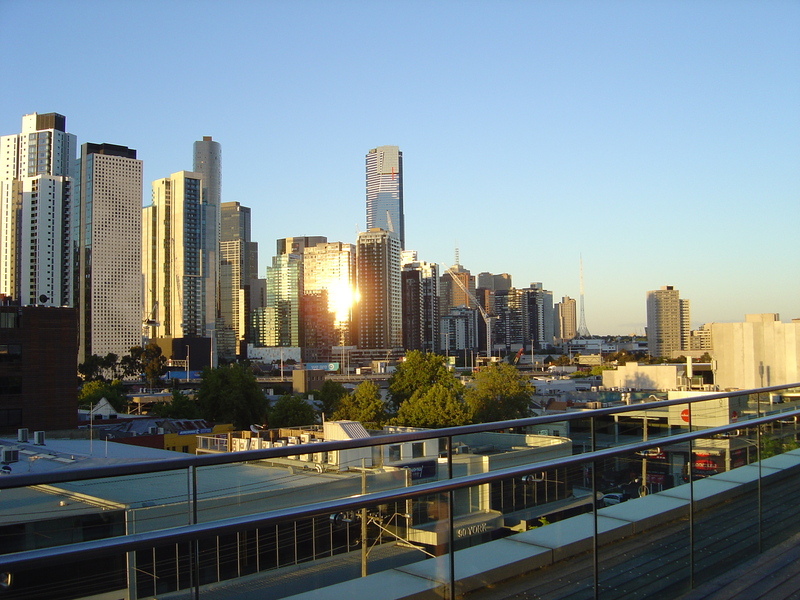 Standing on the fourth floor balcony of Emerald House in South Melbourne with a cold beer in my hand watching the sun set from the south-side of the city and contemplating the end of 2014. 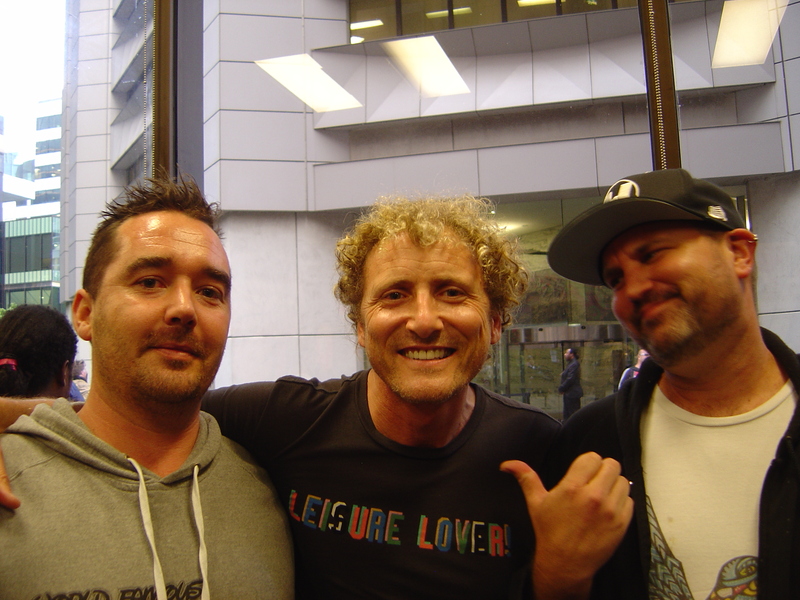 Around me are many of the luminaries of Melbourne’s street art scene: Factor from Invurt, Luke Cornish (aka E.L.K), Toby from Just Another Agency, Luke McManus, Alison Young, Dean Sunshine, David Russell GT, Mini Graff… enough of the name dropping but you get the picture. The occasion is the Melbourne premier of a new documentary on street art, Cutback by Rachel Bentley. Cutback was filmed between 2011-2014 in Sydney, Melbourne, Canberra, Berlin, NYC and London this documentary concentrates on the pertinent topic of the acceptance of street art by major art prizes, major galleries and collectors. Cutback is not just a documentary but also a digital platform with more interviews and room to expand. After the documentary there was a tour of the three story carpark at Emerald House that was painted in 2012 (see my post Melbourne Underground). The paintings are still there and more have been added. The night before almost the same crew was assembled for the launch of Dean Sunshine’s new book, Street Art Now featuring his photographs of Melbourne and elsewhere. The book launch featured a silent charity auction for a set of large panels by notable artists that were made for Melbourne’s Spring Fashion Week. Dean Sunshine has made good on his pledge to put the profits of his previous book Land of Sunshine back into more publishing (the same pledge applies to the current book). This time it is a hard back book with better photographs and a foreword by David Hurlston, Australian Art Curator at the National Gallery of Victoria. The photographs are accompanied by online references for each artist acknowledging how much of the street art scene is online. Every year, there is the launch of another book on Melbourne’s graffiti street art, this year there was two: Alison Young in Street Art, Public City – Law, Crime and the Urban Imagination (Routledge, 2014) and Dean Sunshine Street Art Now. 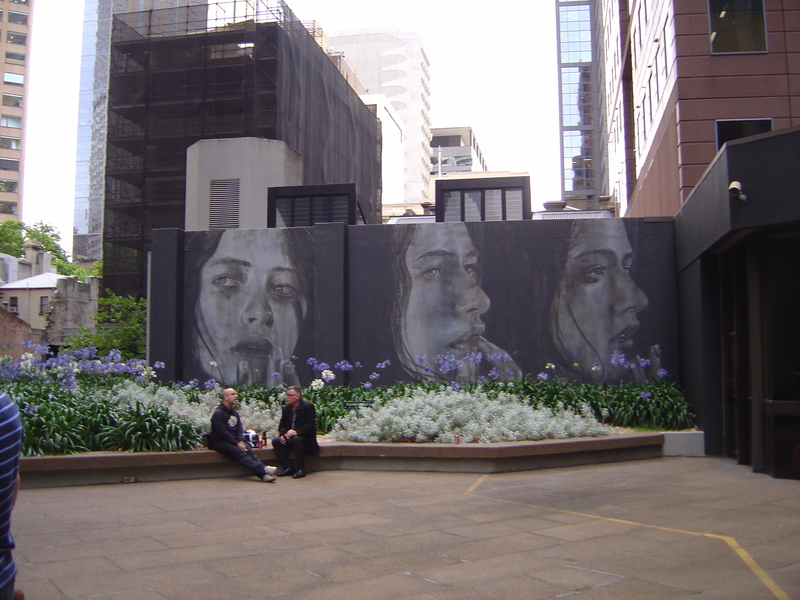 Every year in Melbourne’s street art scene it appears as if there is another existential threat to the street art of Hosier Lane, from the departure of Andy Mac, to the CCTV cameras and now the construction of a multi-story hotel. 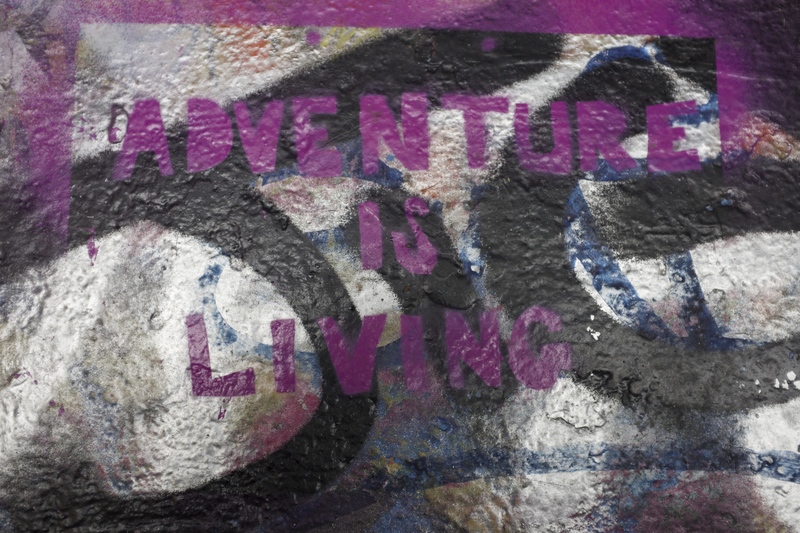 It is a reminder of the ephemeral nature of street art. It is also a reminder of corrupt nature of Australian politics with the then Planning Minister Guy giving the approval for the project as a kickbacks for political donations to his party. In many ways this year was like any other year in Melbourne. So what else has happened in Melbourne street art scene this year? Otherwise for street art in Melbourne the main story is that it has been a year of murals lots of new big murals around Melbourne, most notably from Rone and Adnate, and the finally restored, old Keith Haring mural. As the summer sun sinks below the Docklands high rise I contemplate the question: does all this mean that Melbourne’s street art has ‘sold out’, that it has become mainstream, that it is no longer real? None of what I’ve noted in this post should be taken as evidence for that. Looking at the great wall of skyscraper rising along the Yarra giving way to older low rise buildings, a few with bombs and tags high up on them, there is no reason to believe that Melbourne’s street art, although it is more widely appreciated, has lost its way (see my post from last year for more on the future of street art). Street art and graffiti are not endangered species, rare, fragile things; in Melbourne it is strong, enduring and pervasive. Writers keep spraying, taggers keep tagging, stickers keep sticking, artists keep painting, haters keep hating, and everyones still posting on Facebook or Instagram. This entry was posted on Saturday, December 13th, 2014 at 11:03 AM	and tagged with Cutback, Dean Sunshine, E.L.K., Hosier Lane, Melbourne, Rachel Bentley and posted in Street Art. You can follow any responses to this entry through the RSS 2.0 feed. It has been a year. Here’s Cheers. Cheers, thanks for the reblog.